Golf has been played at Traigh since about 1900. 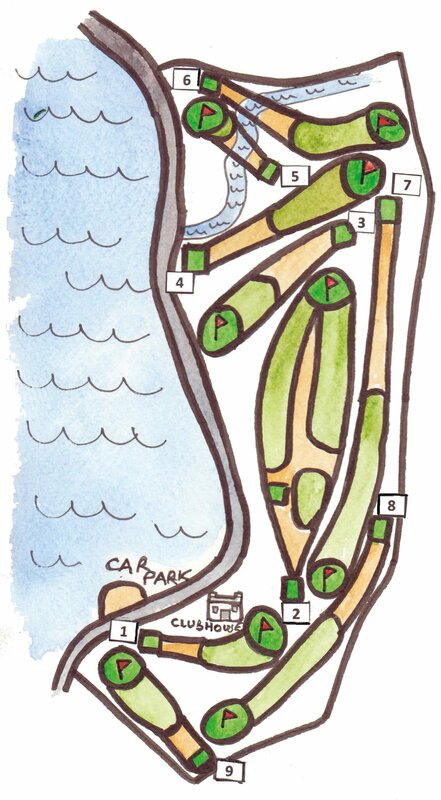 The old layout was much too small however, and between 1993 and 1995 the course was enlarged and greatly improved. The new Traigh Golf Course was designed by well-known Scottish golf architect John Salvesen. Cunningly using the natural contours of the hills that rise up from the beach, he created ‘a fair challenge to all levels of golfer – but a course that is great fun to play on, so that one wants to play it again’. During the redesign of the course, invaluable advice and help was provided by James MacDonald MBE, head greenkeeper at Royal Lytham & St Annes for over twenty years, who was a native of Arisaig and who knew the ground well.